Shard Credit Partners announces the signing and completion of a £10 million senior secured unitranche facility to SKS Business Services (“SKS” or the “Company”). The investment has been made from Shard Credit Partners Fund I, a UK lower mid-market focused direct lending fund. The unitranche facility, which includes a £10 million accordion feature, will enable SKS to execute its near-term acquisition pipeline. The Company is pursuing a buy-and-build strategy and has acquired eight businesses in the chartered accounting and business services arena in the past five years. SKS aims to become a top-twenty accounting firm in the UK within the next five years. SKS is an award-winning firm of chartered accountants providing accounting, bookkeeping, tax, payroll and other outsourced professional services to more than three thousand UK SME customers. The firm has 40 customer facing staff operating from offices located across the South-East including London, Reading, Farnham, Croydon and Tunbridge Wells. SKS is unusual in that it operates an innovative, vertically integrated offshore operating model with 145 professional support staff located across four offices in North-West India. This enables SKS to provide its customers with high quality outsourced services at competitive prices. SKS can offer a strong proposition for running the outsourced finance function for its SME customers, putting them on a more equal footing with larger corporates, which have outsourced such functions for more than a decade. This includes providing everything from day-to-day bookkeeping, running payroll, monthly and quarterly reporting and tax planning to working with management to develop business plans through detailed financial modelling. SKS is entrepreneur-owned and was established in 2007 by Sanjay Swarup, a chartered accountant with a background in natural resources. Sanjay Swarup, Managing Director of SKS said, ‘’SKS has a significant number of attractive opportunities to grow the business and increase its market presence nationwide. Shard Credit Partners is an ideal partner to assist with this growth. The funding is structured in such a way that Shard Credit Partners Fund I directly benefits from the growth in the value of the Company. 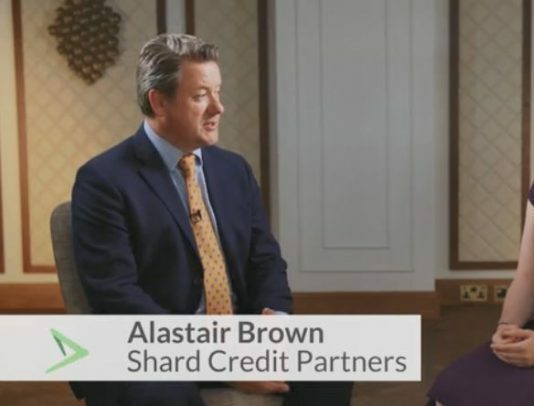 Alastair Brown, Chief Executive of Shard Credit Partners commented, “We are delighted to be supporting SKS in the next important phase of its transformational acquisition growth strategy. Sanjay and his team have developed a highly effective acquisition model, whereby target identification, structuring and integration have been streamlined to ensure a fast-track process and achieve meaningful financial synergies. SKS’s India-based professional support infrastructure is easily scalable and can deal with the absorption of several acquisitions simultaneously. Furthermore, SKS exhibits strong environmental, social and governance (ESG) credentials, which we are proud to support. Across the business, 58% of its staff including senior management are women, which is the result of a deliberate strategy of diversity and equality in the workplace. ESG is increasingly important to our institutional investors”.